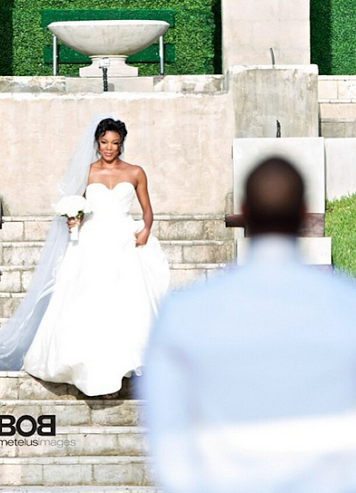 Gabrielle Union shares more pictures from her wedding . Picture on the right is the actress walking towards her now husband Dwyane Wade. And right is the second dress she wore on her big day. Beautiful bride.